West Virginia is considered coal country. Delaware is considered BLOOMDOGGLE country. Unlike the first state, the mountain state is going ahead with a combined cycle natural gas power station that makes economic as well as environmental sense. The folks in the first state got the Bloom Energy BLOOMDOGGLE. The folks in the mountain state got affordable green energy. Al Gore and his buddies sold the Markell administration in Delaware power for $220 per megawatt hour using natural gas, the West Virginians will get power for $65 per megawatt hour using the very same natural gas more efficiently and effectively. The folks in the mountain state will get power with only 730 pounds of CO2 emissions per megawatt hour and without solid sulfur waste. The folks in the first state pay through the nose and get gangrene energy from the BLOOM COFFINS with higher CO2 emissions and solid waste that contains sulfur but is hidden from them. The West Virginians are fortunate that Al Gore, Colin Powell, and John Doerr were Governor Markell’s friends rather than cronies of their governor Mr. Tomblin. Randy Huffman is the man in charge of the environment in the mountain state. He has a degree in mining engineering and actually understands a little thermodynamics. The first state is unfortunate to have Mr. Colin O‘Mara looking after their environment. Mr. O’Mara signed off on the BLOOMDOGGLE permit application with a cut and paste job, and was the rubber stamper for Governor Markell and higher ups in the party in the nation’s capital. Here is a radio show that explains how Mr. O’Mara operates. Mr. O’Mara attended Oxford University in England. This goes to show that very smart people can do very dumb things when politically motivated. Mr. O’Mara approved a dirty, expensive, and unreliable power project in Delaware to help him and his boss win favor with Al Gore, Colin Powell, and John Doerr as well as the movers and shakers in Washington DC. Randy Huffman did what is right for the citizens of the mountain state. Note my absent congressman is Jared Huffman and I hope for Randy’s sake they are very distant relatives. Jared Huffman’s BLOOMDOGGLES in the California Assembly are also being unraveled like a gangrene onion. My guess is Jared Huffman and Colin O’Mara were twins separated at birth. Colin was the far smarter twin brother. I have been wondering why DELMARVA Power entered into the deal to act as Bloom’s agent in the BLOOMDOGGLE of DELMARVA’s customers in Delaware??? I have blogged about the fraudulent overcharge for excess natural gas above the permitted maximum quantity in generating “unbetter” electrons from the Bloom coffins in the coastal zone of the first state. DELMARVA is a party to this crime. But why would a large utility become entangled in a BLOOMDOGGLE of major greenwashing and financial fraud proportions? We have to go back a few years. The government of the first state wanted greener energy in Delaware and had dictated that DELMARVA should enter into power purchase agreements for wind and solar generated power. Of particular interest is a project called Blue Water Wind that was intended to supply 200 megawatts of offshore wind power to DELMARVA under an executed power purchase agreement (PPA). This project on the rocks in May 2011 for lack of funding. This possible abandonment occurred three years after the project was first announced. The PPA was for a term of 25 five years and probably would have entailed a purchase of several hundred million dollars of wind power by DELMARVA Power. What was not reported by the Daily Record was that DELMARVA sorely wanted out of the PPA that was forced upon it by the Delaware state government as accounting rules would require DELMARVA to recognize the future payments under the PPA as debt on its balance sheet. Note the news of the possible demise of the Blue Water project was on May 30, 2011 and this coincides with the permit preparations and bogus tariff approval that allowed the Bloom Boondoggle, the BLOOMDOGGLE, to occur. In January 2012 NRG the developer of the Blue Water project placed the project into a cryogenic deep freeze. Remember Secretary O/Mara issued his bogus coastal zone act completeness report for the Bloom project on February 10, 2012. NRG was probably told to go fly a kite in the windy blue waters off the coast that would soon host the Bloom Coffins. DELMARVA Power may have cleverly slinked away from BLUE WATER, but now that they are a direct party to fraudulent billing to the customers they are licensed to protect under a bogus tariff that exceeds the maximum permitted quantity of natural gas. They are now actually in HOT WATER. 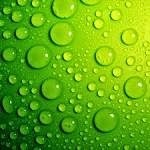 Hillary Clinton had WHITE WATER, DELMARVA Power had BLUE WATER, and none of these folks could ever find GREEN WATER as they all simply sucked all the GREEN out of the water. As for Governor Markell and Secretary O’Mara neither of them walk on water and both should attend a junior college and learn some ethics and thermodynamics. Better still they should be spending all their time preparing their court defense in the case of Fuel Cell Energy that a federal judge ruled has merit for the cronyism these two gangrene politicians exhibited in welcoming the Bloom BLOOMDOGGLE to the first state. A few weeks ago I spoke with a friend that develops wind power projects in Colorado. He told me that new wind turbines are now being designed with smaller generators using larger blades and the have capacity factors of over 50% in windy places like Colorado or Iowa. This absolutely amazing! Ten years ago it was state of the art to gain wind power with a capacity factor of 25%. The doubling of the capacity factor implies halving of the unit cost of power generation if the capital cost remained constant. I called General Electric and they confirmed their new turbines with 1.6 megawatts of output and equipped with blades of over 100 meters in diameter will achieve a capacity factor that exceeds 50%. They also confirmed that wind power can now be generated for under 5 cents per kilowatt hour without any government subsidy. This is great news and now that we has abundant supply of natural gas for gas fired power stations it makes sense to have wind and natural gas generate as much of the electricity as is possible. I am not sure that the government needs to continue funding wind energy now that its cost has reached parity with the grid, but the massive subsidies for wind energy are continuing. After these subsidies the levelized cost of producing wind energy from new wind farms can be as low as 2.6 cents per kilowatt hour. The link below that my wife found gives very interesting facts on wind energy and is worth looking at. Wind energy is certainly a success story in the renewable energy portfolio as is silicon based solar cells. The PV and wind energy power are now competitive with the grid and the government should now use the money for education and healthcare and let these industries stand on their own feet. In Delaware, the federal court ruled that the challenge to Bloom Energy deal did have a basis and that Fuel Cell Energy a company that competes with Bloom has standing to bring Governor Markell to court for the shady deal he and his administration concocted to use dirty, inefficient and expensive Bloom Coffins instead of wind and PV power. Note the folks in the first state are paying approximately 22 cents per kilowatt hour for electricity under the bloomdoggle. this is more than four times as expensive as wind energy without subsidy and eight times as expensive with subsidy. The Delaware surcharge is the nonsense Governor Markell invented to pretend that the dirty power from Bloom Coffins were in fact a replacement for wind and solar that should have been built in the first state. In a smoke and sulfur filled room, the Governor and Bloom plotted how the rate payers in Delaware would unfairly and illegally subsidize Bloom so that the governor’s friends Al Gore, John Doerr, and Colin Powell could get the money (massive subsidy) from DELMARVA’s customers. Had wind projects been built in Delaware there probably would be no need for subsidies and certainly there would not be the massive CO2 emissions and vast quantities of hazardous sulfur containing solid waste that the Bloom Coffins create. Governor Markell in his haste to help his friends has now burdened his citizens with long term unnecessary subsidies and is adversely affecting the citizens’ physical health and wellbeing. Governor Markell it is great you will be hauled to federal court to explain this. Bravo to the federal magistrate who wants the rule of law to return to most corrupt state in the union. I do hope that the Bloom Coffins are ripped out of the coastal zone where they should never have been placed and are replaced with wind turbines that need no massive subsidy and do not emit copious amounts of harmful CO2 and VOCs into the air. Also the owners of the wind farms will not sneak out tons of hazardous sulfur laden solid waste in tanks as Bloom has admitted to doing. Yes I have written evidence directly from Bloomdoggle that they have removed sulfur in tanks from their coffins in the coastal zone of Delaware. Drop Box announced the appointed Condi Rice to their board of directors. Of course Condi has tons of free time after resigning in disgrace from KIOR's board. The gangrene monster who was the architect of the war in Iraq has drawn the ire of drop box users who have no trust of the megalomaniac having access to billions of documents and images they use drop box to store. How deep is people's distrust of the piano playing gangrene monster? It is bloody large. Condi could not find weapons of mass destruction, nor weapons of mass combustion, but folks are paranoid she will help the NSA find information in their drop box files. My advice to drop box is to distance themselves from this lady who is a distant cousin of the truth. Let her ruin the minds of young people who study at Stanford. She and Stevie Not So Wonder Chu Chu are best suited to hide on a university campus where they can do the least harm to the rest of us. These two third rate civil servants have caused massive harm to the United States. One is guilty of war crimes and the other is guilty of violating the laws of thermo. We know Chu Chu does not own a car. His wife owns a BMW while Condi owns a Mercedes Benz. I guess the Chus and Rices have to support Angela Merkel for some reason rather than supporting Detroit. Chu joined the board of Amprius. That company better have lots of money as Chu is simply has the un-midas touch. Unfortunately folks I broke my collar bone so that is all I can write about Chu and Condi for now. Happy Passover and Easter and if you use drop box threaten to boycott unless they drop Condi. Dear GREENEXPLORED readers I have been mighty quiet on Bloom Energy but this is because I have been working hard to gather evidence of alleged fraud by Bloom Energy and Delmarva Power against the customers of Delmarva Power in Delaware. My investigation has uncovered significant overcharges for natural gas beyond the maximum quantity of natural gas in the final permit application. I wrote to two Deputy Attorney Generals and the Attorney General of Delaware (Mr. Beau Biden) outlining the allegations today. Below is my letter that was faxed at 1:20 pm pacific time this 8th day of April 2014. I will report on developments. To date Bloom has collected $41,628,118 in subsidies from the customers of Delmarva Power for the unreliable, dirty, and expensive electricity they sell from their 30 megawatts of Bloom Coffins in the state. Each month towards the end of the month Delmarva Power prepares a monthly filing for the approval by the Public Service Commission of Delaware (PSC) of the Qualified Fuel Cell Provider Project Tariff. The latest monthly filing dated March 28, 2014 is attached and is referenced in this fraud allegation. The calculation worksheet on the last page of the filing provides the calculation of the amount of money (subsidy to Bloom Energy) Delmarva Power will collect from its customers in Delaware. On line 11 of the worksheet Delmarva Power lists a “heat rate”. This heat rate is the quantity of natural gas used to generate a unit of electric power and is in millions of BTUs per megawatt hour. As you can see from the attached filing, this heat rate is 7.19 million BTUs per megawatt hour for the month of June 2014 and 7.16 million BTUs per megawatt hour for May 2014. The heat rate is then multiplied by the unit cost of natural gas to determine the amount of money Delmarva Power’s customers will be charged for the natural gas used by the Bloom Fuel Cells. Delmarva Power acts as Bloom Energy’s agent to collect money from customers and then gives the money collected from its customers to Bloom Energy. The General Manager of Bloom Electrons, Mr. William Brokenborough, under penalty of perjury submitted a revised and final permit application on January 13, 2012 to the Delaware DNREC. On February 10 2012 Mr. Colin O’Mara the secretary of the DNREC wrote a completeness report on the subject of the Bloom Energy project and accepted and affirmed the data provided by Mr. Brokenborough in the January 13, 2012 final permit application to be complete and correct. Note the data submitted by Mr. Brockenborough on January 13, 2012 were the final data submitted by Bloom prior to the issuance of the permit by the DNREC. I quote from Mr. Brokenborough’s January 13, 2012 Final Permit Application Titled Revised Application To Construct, Operate, or Modify Stationary Sources. Under Project Description he states “each fuel cell has a base electrical output of 200 kw with a maximum natural gas usage of 1.32 MMBTU per hour”. For your reference kw is kilowatts and MMBTU per hour is millions of BTUs per hour. The front page of the January 13, 2012 final permit application with this quote is attached for your reference. For your reference one megawatt is 1,000 kilowatts. Therefore five Bloom fuel cells each of 200 kilowatts will generate one megawatt of electrical power. Five fuel cells will use five times as much natural gas as one fuel cell. Therefore per Mr. Brokenborough’s admission under penalty of perjury the maximum usage of natural gas would amount to 5 times 1.32 million BTUs per hour per megawatt which equals 6.60 million BTUs per hour per megawatt. Restated this is a heat rate of 6.6 million BTUs per megawatt hour. The maximum permitted quantity of natural gas to be used is therefore indisputably 6.6 million BTUs per megawatt hour. Yet Delmarva Power and Bloom Energy have collected money each month from Delmarva Power’s customers for a period of more than 18 months using heat rates that exceed 6.6 million BTUs per megawatt hour which is the maximum permitted amount. This is akin to permitting a five story building but building a six story building and then renting out an extra unpermitted floor. In a nutshell Bloom operates beyond the permitted quantity of natural gas and correspondingly Delmarva Power charges its customers beyond the permitted quantity of natural gas. Using the data from the Delmarva Power filing that is attached the May 2014 charges for natural at 7.19 million BTUs per megawatt hour are a 9% overcharge compared with the permitted maximum quantity of 6.6 million BTUs per megawatt hour. Returning to the analogy of a building, if the owner of building applied and received a permit for only a five story building but built a six story building their occupancy permit would be terminated and they would be forced to demolish the building. Bloom’s operating permit for the subject power plant should be revoked and all money illegally and fraudulently collected by Delmarva Power from its customers should be returned. Bloom’s power generation stations (Brookside and Red Lion) should be shut until such time they can operate with only using a maximum of 1.32 million BTUs per hour in each and every one of their fuel cells. Their General Manager under penalty of perjury and in writing claimed this quantity to be the maximum usage of natural gas in their final permit application. Note the quoted statement in the final permit application is “each fuel cell has a base electrical output of 200 kw with a maximum natural gas usage of 1.32 MMBTU per hour”. 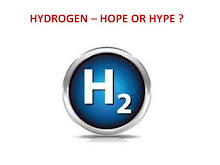 Therefore each 200 kw fuel cell that Bloom Energy has installed and operates must meet this threshold of natural gas efficiency or remain shut. All 150 fuel cells installed by Bloom Energy need to meet this requirement before they should be allowed to continue to operate the power plants. You must remember that increased natural gas usage means increased CO2 emissions. The EPA has ruled and the US Supreme Court has affirmed that CO2 is harmful to the health and wellbeing of citizens. The Delaware Department of Justice must uphold the laws of the land and must bring criminal charges against Bloom Energy and Delmarva alleging the fraudulent operation of a power plant and the fraudulent billing of charges to customers of Delmarva Power who live in Delaware. I can be reached at xxxxxxxxx on my cell phone or yyyyyyyyy on my home phone. Please note that I and my newspaper the Tiburon Ark won First Prize for a Serious Column in the National Newspapers Association 2013 awards for the greenwashing boondoggle Bloom has perpetrated in Dealware. I look forward to reporting to my readers that criminal charges alleging fraudulent billing and operation of a power plant have been brought in Delaware against Bloom Energy and its agent Delmarva Power. As soon as these criminal charges are brought, I suggest that a criminal investigation then begin into how the DNREC issued a permit. We now have written evidence that Bloom removed hazardous solid waste that contained sulfur in tanks from the coastal zone. Attachments Delmarva Power March 28, 2014 Filing with the DE PSC and Page 1 of the January 13, 2012 Revised Application to Construct Operate, or Modify Stationary Sources. Approximately 6 months ago KIOR had this story that Bill Gates and Vinod Khosla would play a major role in funding an identical second plant in Columbus Mississippi that would double the nameplate capacity of KIOR alchemic diesel from pine trees for an additional investment of $225 million. 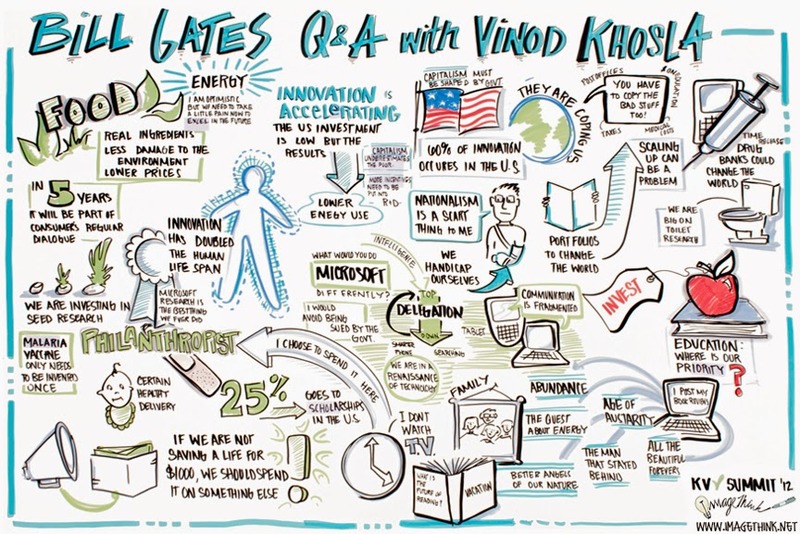 This was still when Vinod Khosla was selling and Bill Gates was still buying the 92 gallons of diesel per ton of bone dry pine story. Since then KIOR has impaired and written down the cost of Columbus #1 “copy exact” facility to $40 million from $225 million. This write down was made because the auditors demanded it as the plant is incapable of producing name plate capacity and FASB accounting rules require it. I had actually written to the board of directors of KIOR on July 13, 2013 that the plant should be written down as I predicted it would never be capable of reaching nameplate capacity. 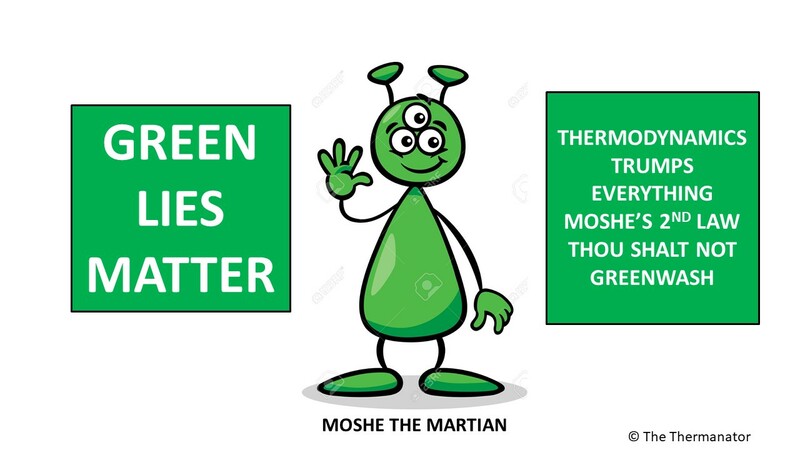 The Green Machine knows thermodynamics and can smell fake rats from a mile away. Of course I got no word from the board of directors as Condi Rice et. al. were still fibbing about the “reality” of KIOR. A good lawyer representing the folks who bought shares in KIOR and lost their money should ask for this email from the Green Machine to the board. Bloomberg News who simply love Vinod Khosla, Al Gore and, other green illusionists still thinks KIOR has a chance. Sadly none of the Wall Street analysts who follow KIOR and none of the financial press have a clue about thermodynamics. There will be no Columbus #2 and Columbus #1 will eventually be put to sleep. The real question is who will go after Khosla and his adviser Condi Rice or will they slink away? I hope that the folks in Columbus find other jobs and simply forget the KIOR debacle. As I have reported KIOR means wash basin in Hebrew. It is doubtful that the priests will soon be rebuilding the third KIOR in Jerusalem and there is little doubt a second KIOR plant will be built in Columbus. As for Condi and Vinod they will soon wash their hands of the debacle they promoted, hyped, and over sold. Bill Gates lost $7.5 million helping Vinod six months ago and this is just a drop in the KIOR for the richest man in the world. Dr. Chu Chu Train is at Stanford and still dreams of how he can defeat silicon PV with CIGS ala Solyndara. His stupidity and lack of business acumen is apparent again this week. Remember Dr. Chu and his Boss gave away A 123 the battery maker to Wanxiang after having blown through our DOE money. Wanxiang has already made $100 million by selling off an unwanted part of A 123 to NEC of Japan. Well done Dr. Chu and Mr. Obama the two of you are brilliant at buying high selling low and then seeing the Chinese who bought you (actually us) out for Bupkis make a hundred million dollars while both of you talk nonsense about the brilliance of your energy policy. Leslie Stahl of CBS Sixty Minutes in her piece that outed Obama’s and Chu’s cleantech interviewed the head of Wanxiang America and he said he is into Capitalism and dismissed Ms. Stahl’s questioning of Wanxiang’s motives. Obama and Chu are not capitalists they are the lost souls who still dream that Solyndra and their CIGS chemistry were the way to go in providing those good manufacturing jobs. If Adam Smith and Chairman Mao meet in the afterlife they can chuckle about Trading Places. I really worry about the students at Stanford and what they will learn from Chu and Rice two examples of folks who could not do yet teach.